Prague is one of the most magical cities in Europe with its glorious architecture dating back 800 years. 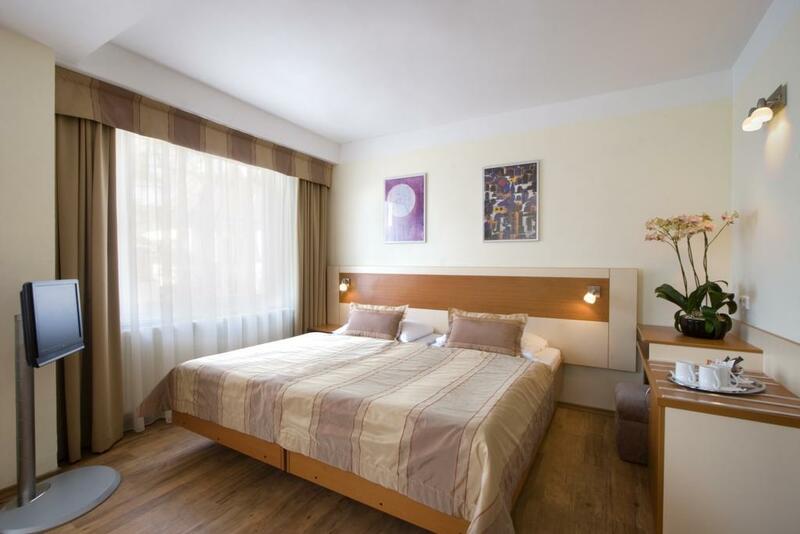 Below is a list of the Best Budget Hotels in Prague. Prague is also renowned for it's buzzing nightlife, Beer Gardens, huge parks and of course its cheap and excellent beer. It has one of the best (and cheapest) transport networks in Europe. 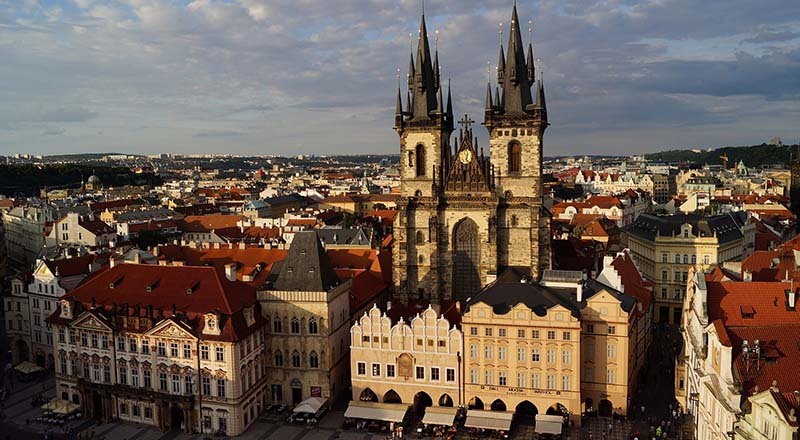 As Prague is one of the most popular destinations in Europe, there is a vast selection of hotels. So choosing a hotel that meets all your needs can be difficult. Obviously, hotels in the centre are going to be far more expensive so my advice is to consider a hotel in a more local district but close to the centre by public transport. I've been travelling to Prague for the past 20 years and have lived here 4 times. I've now stayed in over 20 different hotels in Prague, mostly all budget hotels. Here's a list of Budget Hotels in Prague that should help you find the perfect hotel for your budget. 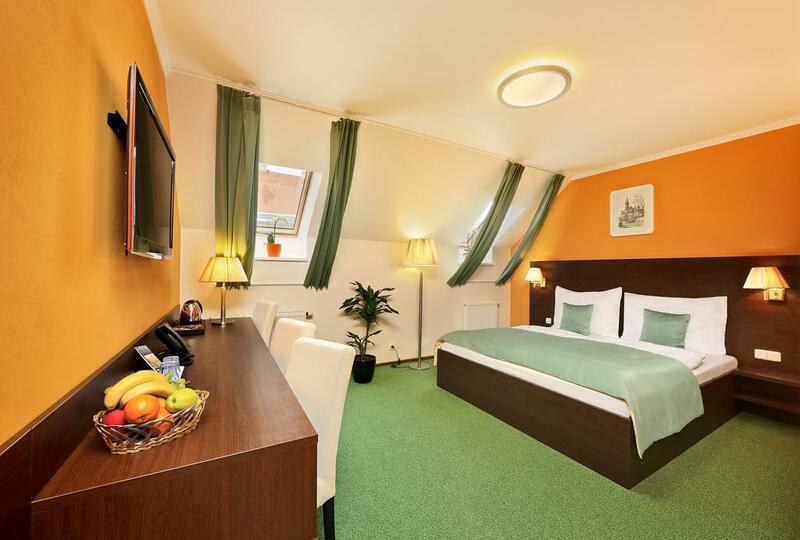 Hotel Augustus et Otto is located a renovated 19th-century building, is just 3 metro stops to Wenceslas Square and a 5-minute tram ride to the Charles Bridge. All rooms have free Wifi. Andel Metro Station and Shopping Center is only 300 meters away. 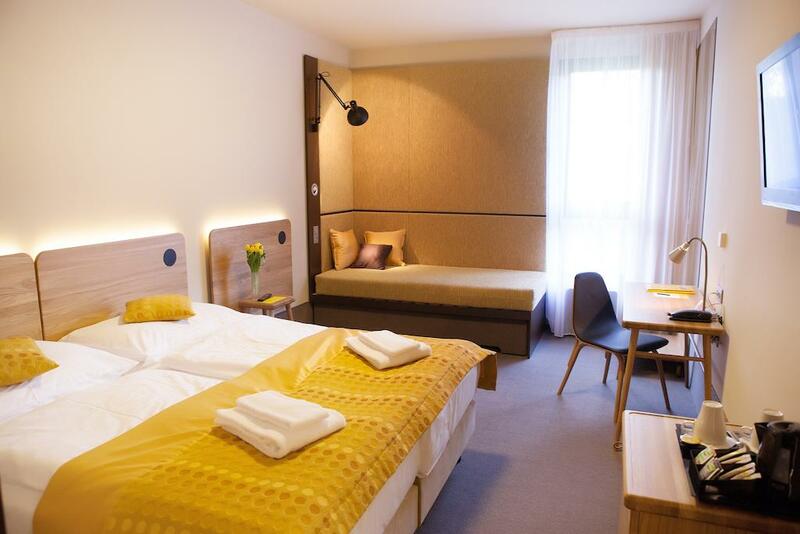 The spacious rooms come with a laptop-size safe, satellite TV, a sitting area, and a bathroom with hairdryer. The restaurant serves Czech and international cuisine and a daily breakfast buffet. 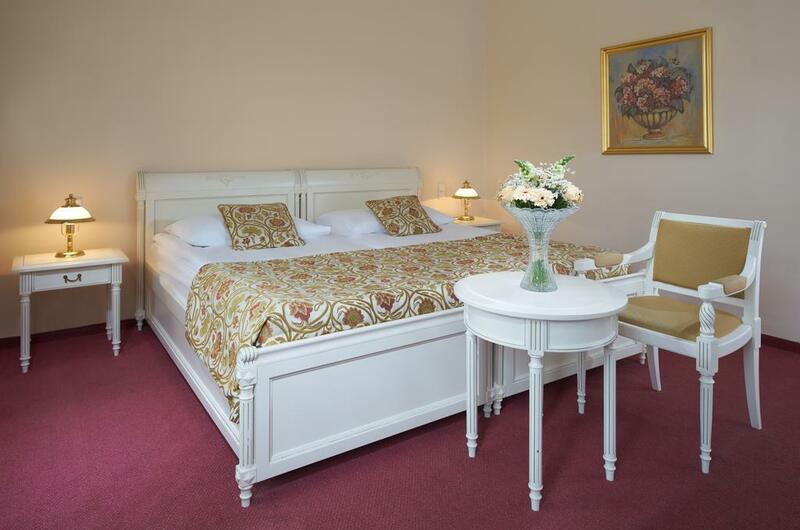 Hotel u Martina Praha is located only a kilometre from Prague Castle and only half a kilometre from Charles Bridge. All rooms have air conditioning, free Wi-Fi, coffee and tea-making facilities, a flat-screen TV, a minibar and a safe and the ensuite bathroom comes with a shower or a bathtub and a hairdryer. The hotel has 2 restaurants, Zubajda serving Czech cuisine and Pilsner Urquell draft beer and Atrium with a summer and a winter gardens serving international cuisine, mixed drinks and a rich buffet breakfast every morning. Hotel guests receive a 15% discount on dishes from the menu. 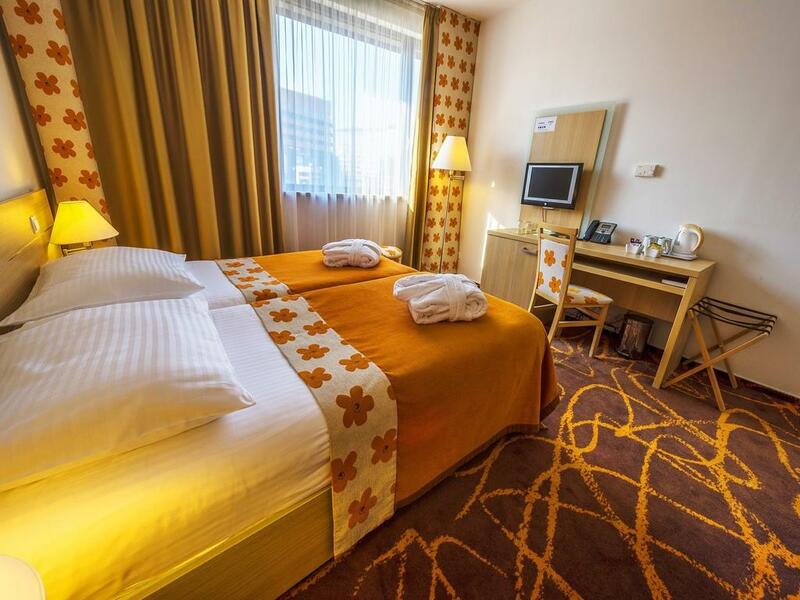 The hotel is 700 meters from Andel shopping centre which has over 100 various shops. The Arbesovo naměstí Tram Stop is 150 m away. Hotel Aida is 15 minutes by metro to Wenceslas Square. It offers free WiFi, tastefully designed rooms that come with a flat-screen TV, a tea/coffee maker and a minibar. The Kobylisy metro station is 400 m from the property, and it takes only 4 stops to reach the city centre from there. Prague's Holešovice and Letňany fairgrounds are 3 km away. 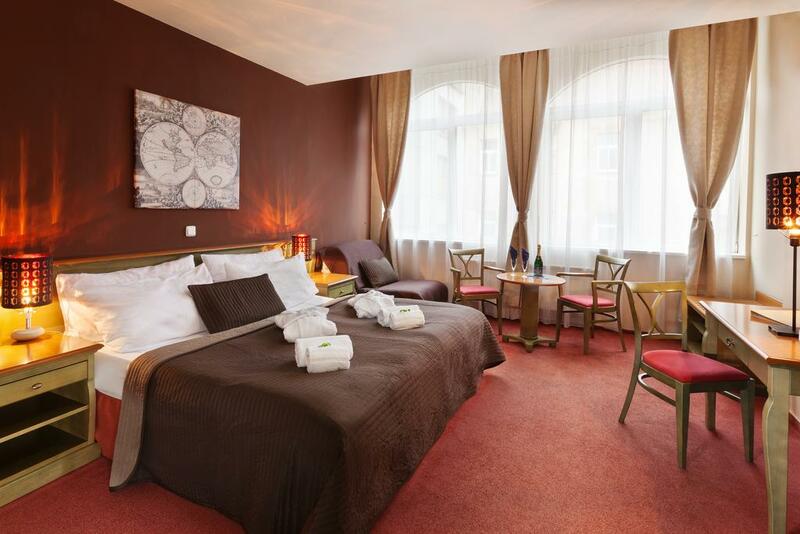 Alqush Downtown Hotel is just a 10-minute walk to Wenceslas Square. The elegant rooms at Alqush Hotel have carpeted floors, antique-style décor and large bathrooms. They come with satellite TV, mini-bar, tea and coffee facilities and safe. I. P. Pavlova Metro and the tram station are 5 minutes away by foot. The hotel is located in the New Town district of Prague and here there are new hip bars, cafes and restaurants popping up all the time. The hotel includes a bar and a restaurant, where breakfast is served. The front desk is open 24 hours a day. Free Wi-Fi is available in all the rooms and guests can also use computers for free in the Internet corner located in the lobby. 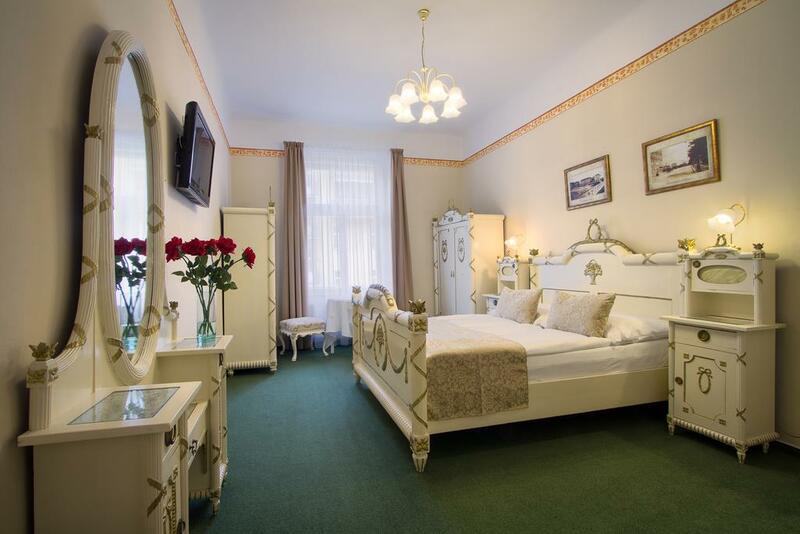 Located in the hip Vinohrady district of Prague, and only a 15 min walk to Wenceslas Square making Hotel Taurus an ideal location for your stay in Prague. 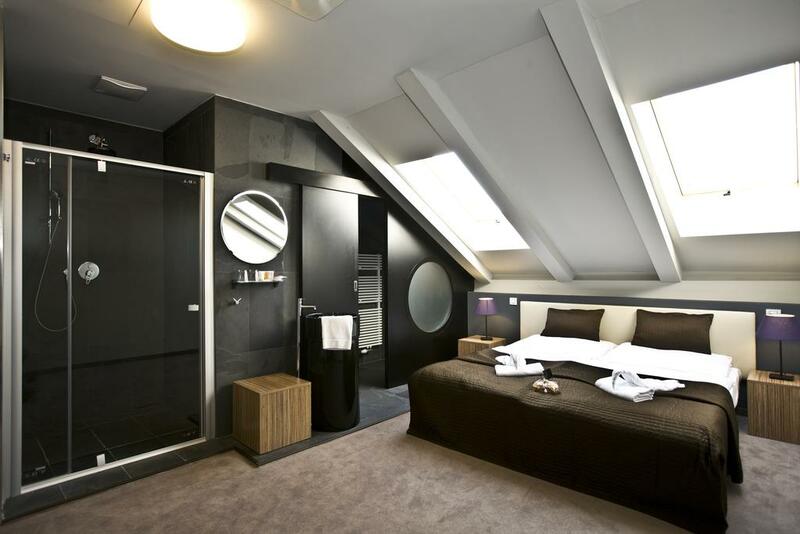 All rooms at Hotel Taurus have an LCD satellite TV, free Wi-Fi, minibar, a safe and a hairdryer. Some of the rooms have 19th-century furniture, while other rooms have modern decor. The nearest metro stop, Jiriho z Podebrad (or JZP), is 100 meters away and Flora shopping centre is 300 meters away. Located on the edge of Prague's centre, just 15 minutes by public transport to the city centre, Iris Hotel Eden is part of a multi-purpose sports complex and set next to the Eden Shopping Centre. Czech and international cuisine can be enjoyed in the elegant restaurant with terrace. All air-conditioned and very tastefully furnished rooms of the hotel feature satellite TV and internet access. All rooms are elegantly furnished and have air-conditioning, satellite TV and free wifi. Hotel NOIR is just a 10-minute walk to Wenceslas Square and the National Museum. A hot and cold breakfast buffet is served every morning. Free WiFi is available throughout the hotel. The rooms have a contemporary design in black and white with red carpets. Each room has soundproofed windows, air conditioning and a minibar. The bathrooms have grey slate tiles and white fittings. Bathrobes, slippers and toiletries are provided. Only 100 m away is the I. P. Pavlova Station, offering plenty of metro and tram connections and the Charles Bridge is about 10 minutes away by tram. The Hotel Golf Depandance is 15 minutes by tram to the city centre. All rooms are fitted with a flat-screen satellite TV and a private bathroom with a shower and a hairdryer. Guests of the Hotel Golf Depandance can use facilities of the neighbouring Hotel Golf including a sauna and a hot tub (for an extra fee of course), a fitness centre for free, luggage storage and a 24-hour front desk. The Hotel Golf Tram Stop is only located 50 meters away.